Sunbathing during summer months isn't just for people. Many resident reptiles are spending their days soaking up the sun too. These cold-blooded, or ecotothermic animals, relish the warmer weather because unlike mammals, they cannot generate their own body heat. The internal temperature of a reptile is influenced by the temperature of their environment. The morning after a chilly evening, many reptiles can be seen sunning themselves to increase their body temperature. Most reptiles use camouflage to blend into their environment, which is especially helpful to avoid being eaten when sunbathing. Some reptiles, however, make it a point to stand out with colors that help keep predators at bay or attract mates. In Northern California, there are a number of colorful reptiles that are fun to spot and are more commonly seen when its warm. 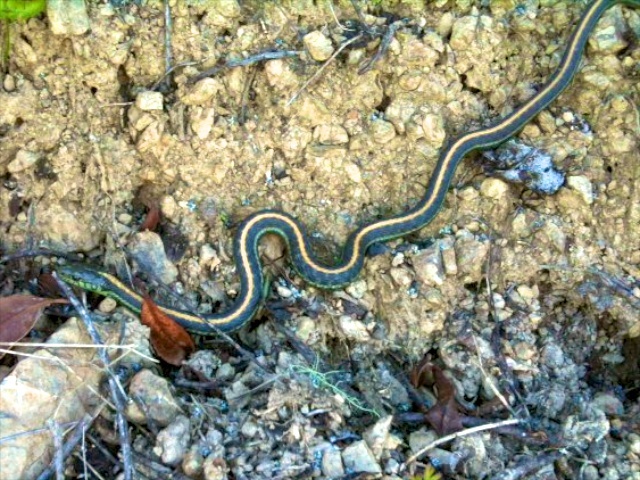 The Diablo-range subspecies aquatic garter snake (T. a. zaxanthus). 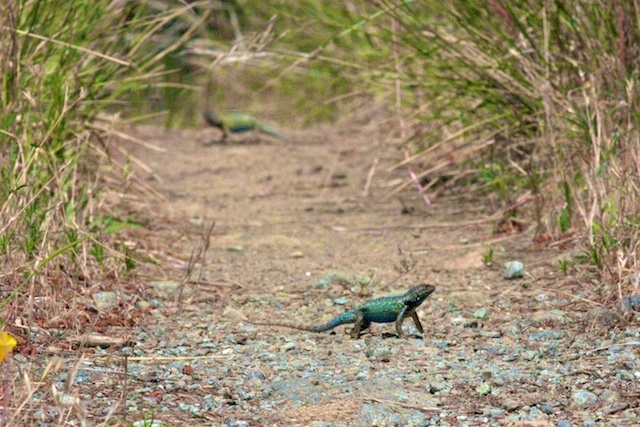 Great hiking trails to see colorful reptiles are found in Marin, San Bruno and Woodside, just to name a few. Although early afternoons to early evenings are best viewing times, it is also important to know where to look. Reptiles typically sun themselves on rocks and clearings. A clearing can be a small as the width of a one-person trail, or as large as the width of a road. All the more reason to drive carefully! 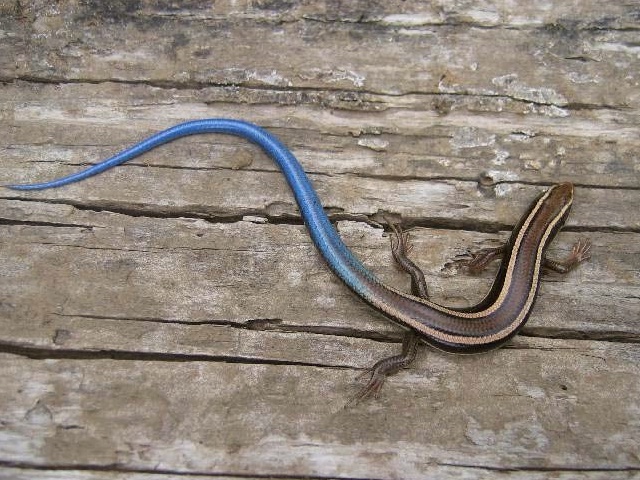 Western Skinks (Plestiodon skiltonianus, formerly Eumeces skiltonianus) are found all over Northern California. Some of these colorful reptiles have equally colorful personalities too. For example, male western fence lizards will often bob their heads and perform push-ups toward one another to establish territory or to attract a mate. Miniature lizard push-ups are very endearing. This summer, don't miss out on observing these colorful critters, right here in our own backyard.